In-House – delivering this course at your site. Web-Based – for in-house groups or individuals using simple web-based tools. We have the UK’s longest running course (2003) and prove every month that it does not take 3/5 days to cover this topic. The feedback at the foot of this page shows that in one day it is totally possible to deliver a course that provides real practical help which can be put into immediate use. Who is the course applicable to? What if we use Agile? We deliver the course every month in organisations in all sectors: public, not-for-profit and commercial sectors. This course fits perfectly with Agile approaches. Benefits realisation is a hugely valuable process especially when organisations are looking to ensure there is a clear link between projects and business strategy or priorities. 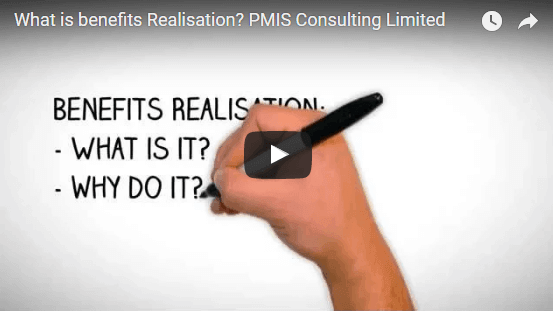 how to develop benefits realisation plans including measurement during the realisation phase. The course is highly practical and we encourage delegates to bring extracts from business cases from their organisation to use in all practical exercises and workshops. The course is interactive and highly practical using workshops throughout to build the key elements of a business case and a benefits realisation plan. Email us today for further information or for in-house delivery.